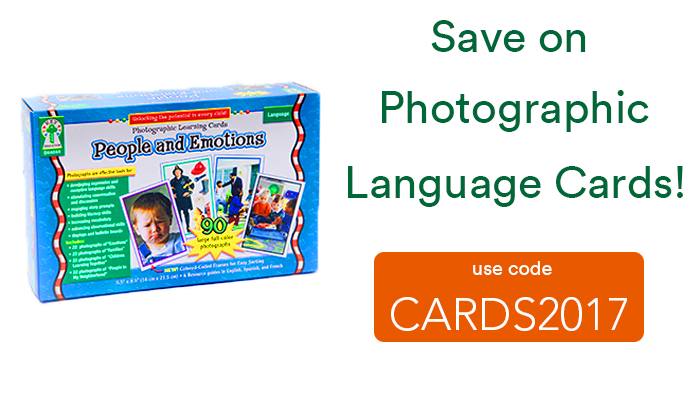 Pick of the Week: Photographic Language Cards! These colorful cards help stimulate conversation and discussion while building language and literacy skills! 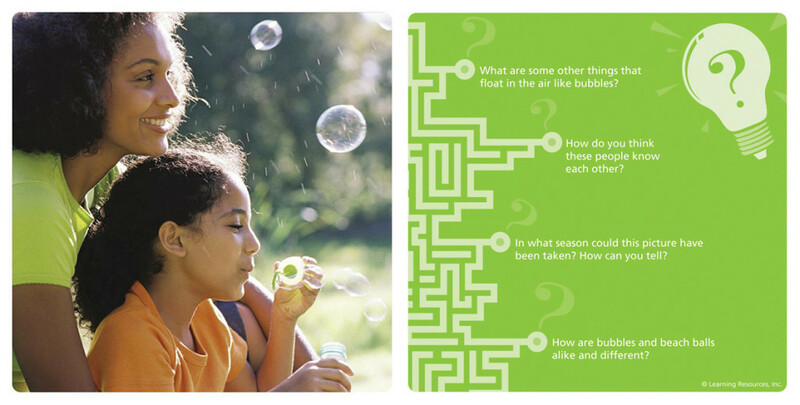 Promote higher-level thinking with these cards that combine critical thinking and visual literacy to teach students to look at the “big picture” as they investigate complex ideas and reach reason-based conclusions. Save 15% on your order of the Snap Shots Critical Thinking Photo Cards this week only by entering in our promotional code SNAPSH6 at checkout! 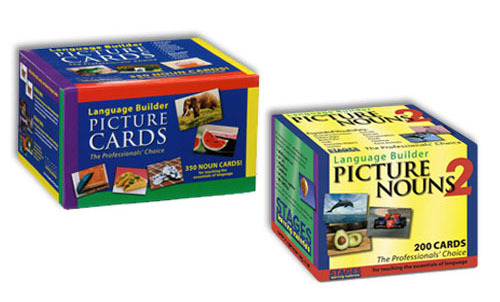 We have two beautiful sets of photo flashcards available for students in PreK and Grades 1 and up. The photos on these cards are all brain-teasing, eye-sharpening scenes that press students to look a little deeper as they develop complex ideas such as cause and effect, predicting, and making inferences. Each photo flashcard depicts a scene on the front and contains four accompanying questions on the back of each card. 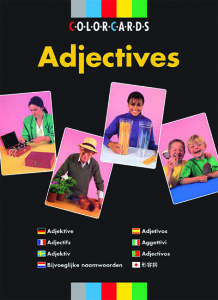 Over 150 prompts in each set encourage personal responses from students and help boost speaking, listening, and writing skills. The PreK set contains photo cards that depict scenes of young children in various playtime, home, and classroom activities, such as cooking, reading, gardening, blowing out birthday candles, playing piano, and much more. The photo cards in the Grade 1 set depict scenes of nature, as well as children and adults in various situations and settings, such as hitting a baseball, packing and moving, cooking, grocery shopping, and much more. Remember – this week only, you can take 15%* off your purchase of one or more of the PreK and Grade 1 levels of the Snap Shots Critical Thinking Photo Cards by using code SNAPSH6 when you check out online. 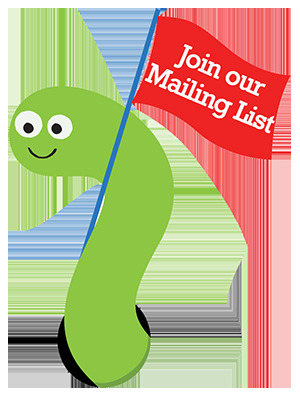 *Valid through March 25, 2014 at 11:59pm EST. Not compatible with any other offer. Be sure there are no spaces or dashes in the code at checkout!